I will be the first to admit that I am totally addicted to Pinterest. I have the app....and I maybe check it when I wake up in the morning, right before I fall asleep, and usually in between...I'm a visual person so I love skimming through the pictures. I love that you can find some fabulous ideas on the site AND (when people pin correctly...) see where the idea/picture originated from! 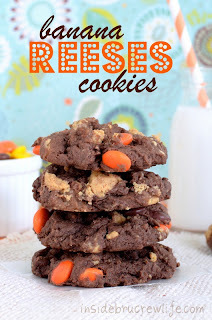 With the Pinterest addiction and all I just had to link up to Cara's latest linky! This first one is from Mrs. T's First Grade Class. 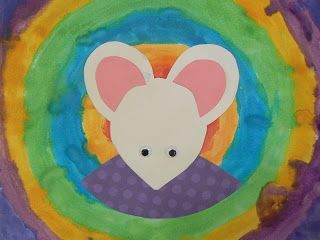 What an adorable Wemberly Worried art project! I love this "small moments" activity from Mrs. Gurian's Class site. 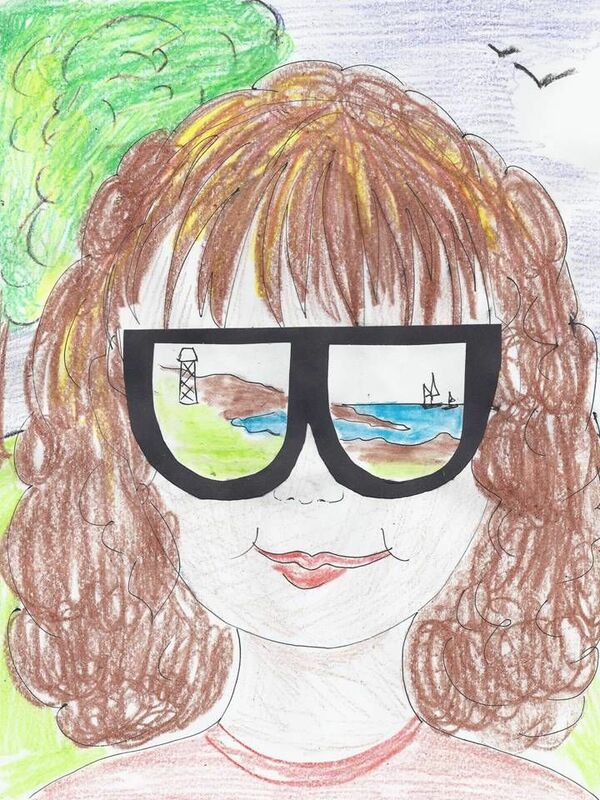 She has a great collection of writing activities! 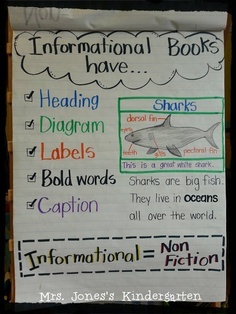 I'm always on the lookout for a lovely anchor chart to recreate. :) Here's one from Mrs. Jones's Classroom that caught my eye. 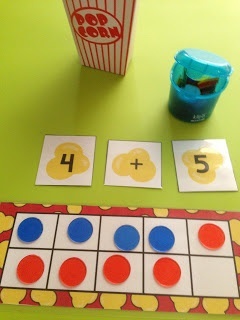 Another fun popcorn game! We play "Pop" in my room all the time but I'll admit that I never thought to throw in a tens frame. Genius. Thanks Teachable Moments! I pinned this one for my 4 year-old. I hate to send sugary snacks to preschool with her. This would be great for a little fun happy just for her or for a whole class set. This came from Random Ramblings. Don't these look absolutely amazing??? As soon as my mouth heals (I got my wisdom teeth out on Tuesday. Ugh.) I'm going to give this a try. YUM. 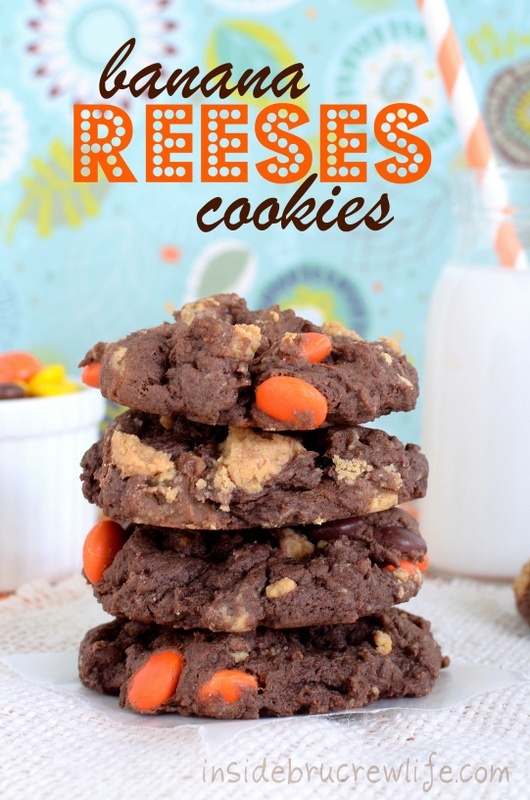 You can find the recipe here at Inside BruCrew Life. You can check out Cara's link up here to see what other people have been pinning this week. Don't forget to follow me on Pinterest. Click the image of a few of my boards below and then make sure you hit the red "follow all" button at the top. 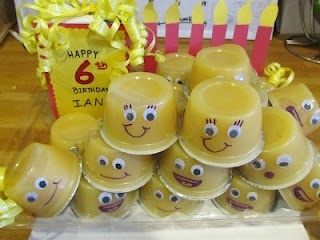 :) Happy pinning! I'm totally addicted to Pinterest too! I personally like it much better than Facebook. Great minds think alike, I pinned the same anchor chart this week. I love the 10-frame game, I'll be pinning it too. 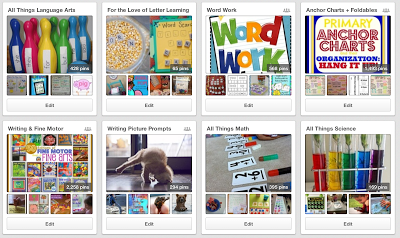 Love your pins, especially the Wemberly Worried art project and the popcorn math idea. Thanks for sharing! You have a great blog! I love the Wemberly pin too! I swear I might have to do that one! I am looking for 2 feedback winners! July Currently and a Little Hint!